In the latest version of the classic Happy Meal, the food chain is replacing the usual toy treat with something far more useful: a pedometer. 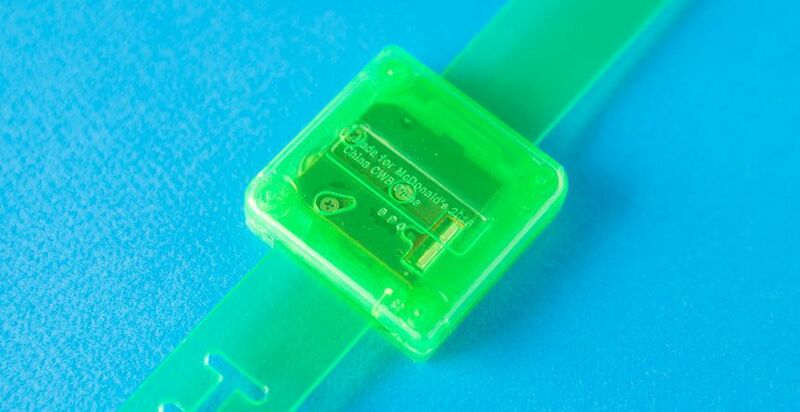 The piece of wearable tech is designed to encourage those eating McDonald's Happy Meals (which includes adults as well as children) to be more active. In a promotional video (see below) for the device, which is called the Step-It, two children as shown engaging in a number of activities and games in an effort to rack up more steps. But is the Step-It really effective or is this just a cheap ploy by the food chain to ride the wearable tech trend? To find out, we went and bought a Happy Meal and gave the Step-It a try. The lightweight, cheaply made device is clearly not designed to last. However, despite its super low-budget look and feel, it delivered ... sort of. The device isn't a precision instrument, so it doesn't log your steps accurately. Instead, it appears to approximate steps taken based on simple movement. Nevertheless, for the children who will use the Step-It, the apparent progress shown on its tiny screen will likely be enough to encourage the wearer to keep trying to rack up the steps. Ok, fine, but what about real health effects? Will this thing really help any Happy Meal eaters lose weight? How many steps would it take to shed the calories consumed during a Happy Meal chow down session? Children come in all sizes, so it's easier to calculate the possibilities using adult measurements. According to the McDonald's Nutrition Calculator, a regular Happy Meal consisting of a cheeseburger, kid's fries, apple slices and a Minute Maid apple juice box contains about 510 calories. The average U.S. adult male, according to the CDC, weighs roughly 195 pounds. Using steps-to-calories-burned figures published by Runner's World, as well as the commonly accepted metric of 2,000 steps needed to travel a mile, it would take that man about 9,500 steps (or 4.75 miles) to burn off that Happy Meal. And while most states in the U.S. are dominated by car travel — making that walking goal a dicey prospect — the truth is that the mere presence of a pedometer can have its own positive effects. A 2009 Harvard Medical School study claimed that "pedometer users walk more than 2,000 additional steps each day than non-users, and their overall physical activity levels increase by 27 percent." So there you have it. Even if the Step-It isn't entirely accurate, and even if you don't manage to walk the necessary miles to drop those calories, simply wearing it is likely to encourage more activity. Sure, fast food isn't always the healthiest nutritional option, but it's nice to see that at least one of the big chains is doing something to combat inactivity that, when paired with caloric intake, could eventually lead to poor health. It's not a Fitbit or the Apple Watch, but the Step-It just might make some parents consider snagging a real wearable tracker, and that's definitely a health win in the end.